When you first get engaged, you're so excited, you're almost blinded to the work that lays ahead of you. Creating that perfect day requires a lot of "detailed" work. Sooner or later, as a bride-to-be, you'd realize that in order to keep your head above the heaviness of checklists and unending decisions, you need someone who can be your "GPS". I am detail-oriented as a person...In fact, I think my obsession with details borders on obsessive-compulsive disorder. But even I knew 2 months into wedding planning that I needed someone I could trust to guide me through the planning journey. If you're recently engaged, you're probably struggling with this decision. 1. "It costs too much money": This is the most common reason/excuse I've heard. When I told my colleagues about my decision to hire a planner and the price range, they screamed, "Okay, that's ridiculous. Pay me half of that and I'll plan it for you." But they are amateurs and could only give me a wedding experience that was amateur in details. Professional wedding planners may cost quite a bit but the amount of money they save you in the end is much more than it will cost you to retain one. They have relationships, resources and buying power that the average person doesn't. They will not only help you pick vendors, they have can negotiate for you and review the contracts to make sure your expectations are effectively communicated and delivered. Some of them even have discounts with certain vendors. If you decide to go the cheap way, you will be limited to online resources and reviews which are not all-encompassing because some vendors have 5 star ratings online but cater to clients who have different expectations of excellence from you. A planner can bridge that cap. 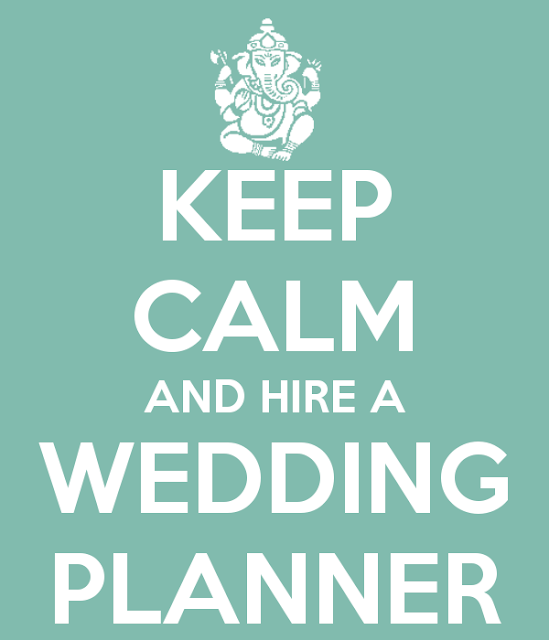 Besides, you can hire a planner according to your budget and your needs. If you're trying to save money and you know you are detailed and organized enough, you can pay just for day-of coordination which contracts them beginning 30 days prior to the wedding to help tie up lose ends. If you are planning from out of town AND are detailed and organized enough, you can pay for partial planning which involves general guide, recommending vendors and reviewing contracts but with you doing the leg work. If you want the full experience and can afford it, then go for the full package where the planner takes on the entire planning. 2. "I can do it on my own. I'm not handicap": Yesterday, I had a very insightful discussion with an attorney who had been in the practice for over 35 years. His most valuable advice to me was, "The first step to learning is to admit your ignorance." I couldn't agree more because I realized early on that that statement was not only true for my legal career but almost everything else in my life including my experience wedding planning. As individuals, we all have our strengths. Your wedding is not the time to test your skills in planning or in organization. Once the day passes, you can't get it back. Unless you've been married a few times, you are an amateur. In order to choose vendors, you need to know what to ask and how to ask it. Why would your judgment be more accurate than that of a professional who specifically has the training and experience to handle it? True story, I tried to save $300 last year by filing it myself and lost about $6,000 in tax breaks I didn't know I qualified for, which was way more than I "saved". Needless to say, I learned the hard way. For me, I needed someone with insight to the Houston market especially since I was planning the wedding from Maryland and prior to my move to Houston. I needed someone who knew vendors, had influence on them and knew how they priced or functioned. I visited my vendors if not with Chioma but armed with her experience and "coaching" on what to say and what not to say. The best part was that my initial introduction with my vendors was smoother because I was a "Dure bride". Because she had established a relationship with them and maintained a solid reputation with them, it was almost as if they trusted me before they met me. Somehow, they knew that if Chioma and I had chosen each other, I was good in their books. 3. "I know people. I have people": Another common reason people give for not needing a wedding planner is because they know people who can play the role of the wedding planner. With 6 siblings, I could easily have used them (and their spouses) to get things done. But why would you want your closest family and friends working on your wedding day instead of having fun with you? 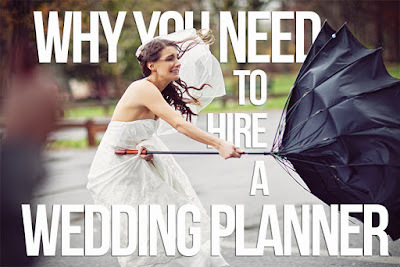 Moreeee so, while I am a big advocate for delegating tasks to family and friends to help with the planning (as I'll discuss in another post), how many of them have the experience of a wedding planner AND can ignore the chaos of their own personal lives to fully focus on your wedding? My siblings were very instrumental in my planning. However, I used them selectively. No one loves family more than me but dealing solely with loved ones during a high stress time is not something you want to do for your wedding day. 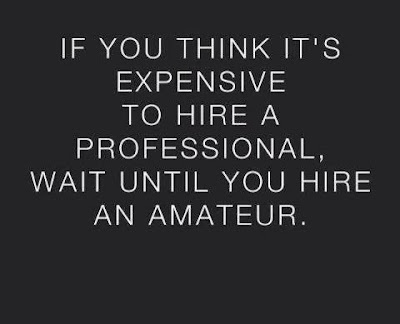 But with a wedding planner, you are paying them to do that work and they KNOW how to get it done. One of my friends entrusted her aunt with planning and she forgot to notify the caterer when their guest count increased and pay the DJ. That day, the DJ didn't show and they ran out of food. A few years ago, I was a bridesmaid in a wedding where we had to not only cut and serve the cake, but clean the hall afterwards. The bride's mother's ashebi (friends) also served the food in their full regalia. Needless to say, no happy campers. You be the judge of that. You'd be surprised that sometimes family will give you the most stress during wedding planning because some of them think they have a better idea of how your wedding should be than you do. Family disagreements are common during planning and you'll need a neutral person to run interference. Even if there are no fights, a planner can help avoid it. The Thursday before my wedding, Chioma met with both families (parents and siblings included) and told them what to expect on the wedding day and the role she was playing to ensure it went smoothly. The meeting was vital in managing expectations and helped a lot because Chioma got acquainted with everyone well enough for them to trust that she knew what she was doing. The result was a low-stress enjoyable and fun wedding day for everyone. Come to think of it, family is more useful for the igba-nkwu (traditional wedding), but keep them as fall-back planners for the white wedding. One of the best things I can say about my wedding is that the bridesmaids and groomsmen can testify that they had fun because Chioma took on the hard work. They were there to support me and they were able to do that more efficiently because they were not worried about logistics. 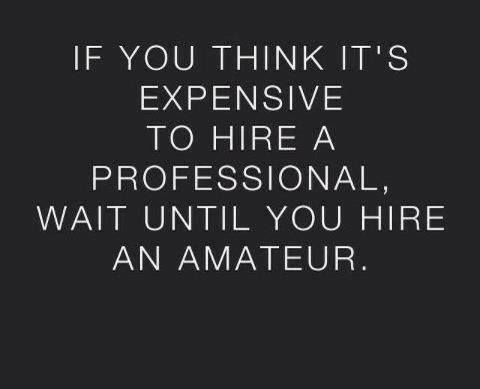 In summary, hire a wedding planner- save yourself and your family the stress. 4. I have time: False. You don't have time. Plus wedding planning in itself is another full-time job. Unfortunately, the stark realization of the steep time demands of planning doesn't hit you in the beginning. The details involved are overwhelming for anyone, talk less of anyone who has a full time job or involved in any other time-demanding aspect of life. 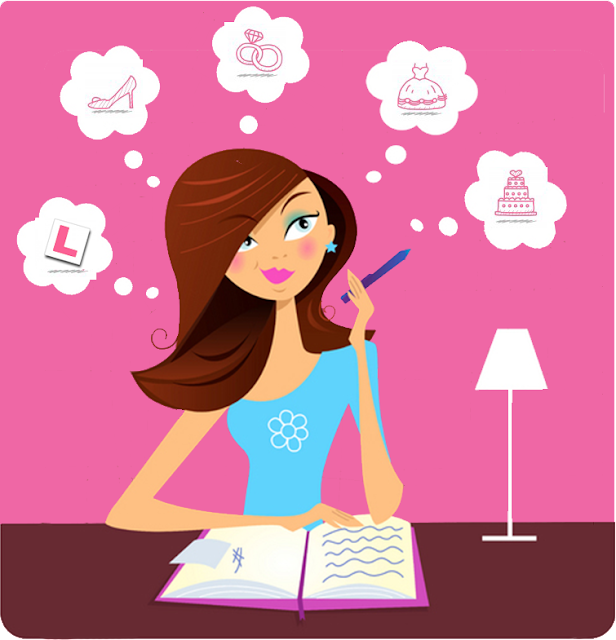 If you want to maintain some sort of life outside wedding planning, you need a wedding planner.For a successful wedding, you need time, energy and focus endless research, details to remember, contracts to review and sign and payments to make. 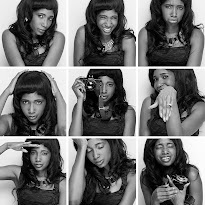 You need someone to have your back while you in essence make sure your affairs are not all in disarray because of the wedding For me, not only did I have a full time job, I was also planning a move from the east coast. In fact, it was the only place in the United States I had ever lived and uprooting and moving all of it was another full time job. I had to admit that I wasn't super woman. There was no way I could have done that while planning the wedding I had. Most importantly, couples need to stay connected during the wedding planing. The stress of taking it full-on can cause rift and having a wedding planner can relieve you so you have time to keep the focus on your future spouse and relationship. Because as we all know, the wedding will come and go but it is the invested relationship that will keep the marriage alive. 5. I will have so much fun planning: Trust me. And I mean trust me, wedding planning is not all fun. Yes, food and cake tasting is fun and scouting venues to breathe life into your dream can be exciting. But there's a heap of it, especially the endless negotiating and decision-making, that is just plain old exhausting and frustrating. Every bride has at least one break down- ask an ex-bride. If they're hoenst, they'll tell you. If you have a wedding planner, it's like having someone to catch you before you fall. The wedding planning process is more or less a heap of decision after decision and not everyone is as fun as it looks in the magazines. At some point, both you and your fiance will get so worn out that your brain stops processing things fully. This was me about a month to the wedding- my patience was at 0 and my irritated thermometer was very sensitive. Having a wedding planner to run by things with helped me stay level-headed and avoid the common "bridal breakdown". With a planner, you can choose to do the fun stuff and give the stressful stuff to the person you're paying. 6. If I plan well, everything will be perfect: No matter what you do or how many checklists or sleepless nights you have, things WILL go wrong at the last minute. Good planning just mitigates the damages. Know it. Accept it. Prepare for it. 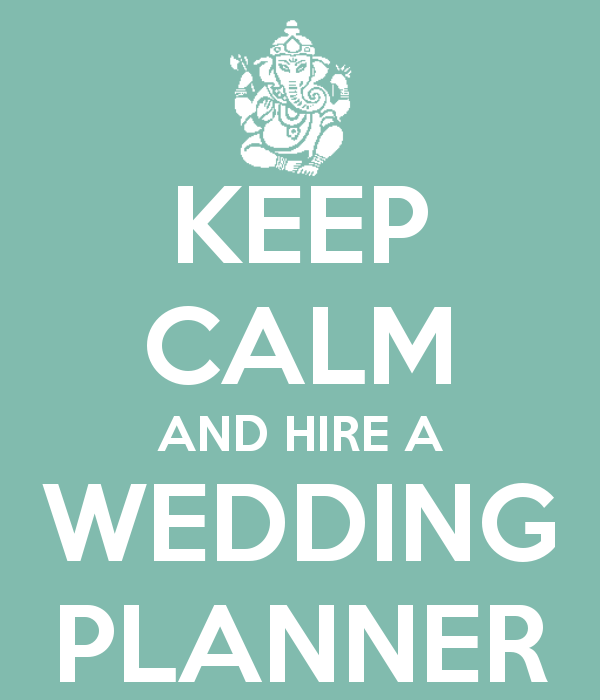 Part of preparing for it is having the right wedding planner. This is the only way you can avoid pulling your hair out. Tiny things will go amiss. When "ish" hits the fan, you need someone who has seen it before, who can stay calm in the midst of chaos and who can handle it even without letting you know. For us, the biggest mishap was with the linen and chair covers. On Wednesday before the wedding, Chioma called all the vendors to remind them about Saturday and to go over the details again to avoid any mistakes. When she called this particular company, they started to renege on what we had agreed and wanted to charge us about $4,000 more than we had originally agreed. I almost lost my mind. A lot of vendors do this very close to the wedding because they know they would catch you at a high-pressure time and they hope that by threatening your beautiful day, they could bully you into paying more. Sadly, most times, they succeed. My wedding planner Chioma swept in and tried to mediate the situation. When she realized how unreasonable they were, she found a hole in the contract (with the help of my venue coordinator) and got us out of it. Then, immediately called her contacts and got another linen company who gave us more and better stuff for the same price we would've paid the original flaky company. Considering my frame of mind then, I'm not sure what I would have done without Chioma. 7. I already have a venue coordinator: Some venues, especially hotels, will assign a wedding planner to work with you. Sure but don't forget that their priority will always be the people who are paying them- the venue. And so, in everything they do, the interests of the venue is priority. They don't take care of any of the other details such as contracts, schedules and checklists. and they do NOT prioritize you and your experience. God blessed me with an awesome wedding coordinator at the Hilton, Lori, a rarity. However, it was more beneficial for me to have Chioma also on my side and they worked together beautifully. IN addition to all the above considerations, if you are planning in a different state or country than you currently live, if you have a stressful job, if you have kids that need your attention, if you have intrusive or dramatic family members and if you are also planning a move, you should just stop wasting your time and mental energy deliberating on this issue. If you want a successful and smoothly-run wedding, you DEFINITELY and I mean, without question, need a wedding planner.